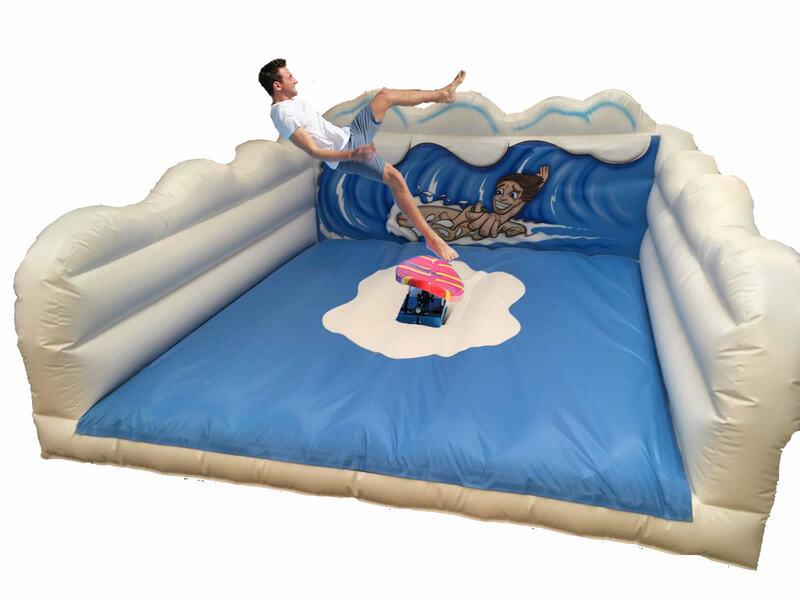 The Surf Simulator can allow you and your guests to have a thrilling ride as if you were a beginner riding the waves or an expert on the open water. Our fully trained staff will ensure your safety throughout the booking. From the moment, you begin the motion will be gentle while you try to remain upright. Should you be comfortable with the calm motion the operator will increase the speed faster and faster until you fall off. Surfers refer this to being known as a Wipeout! Should you be planning a house party, BBQ, beach party, corporate event or birthday party we are confident every rider will finish with a smile on their face. To make the duration of your hire more interesting we include a best rider trophy which will be presented at the end for the best surfer. Competition timers will monitor the best time and the current time for the guests to monitor. Everyone will have a smile on their face although the biggest smile will come from the winner. We take the safety of riders very seriously and we will fully staff and operate the equipment at all times. The surf simulator is controlled via a joystick and should everyone be confident we can use automatic programs to ensure a fair competition. Once a rider has been wiped out the simulator will instantly stop avoiding any injury. The Surf Simulator may also be known as a Surfing simulator or Surf Machine. *Free delivery in Manchester although we will cover the whole North West such as Liverpool, Leeds, Bradford, Bury, Oldham, Rochdale and many more.